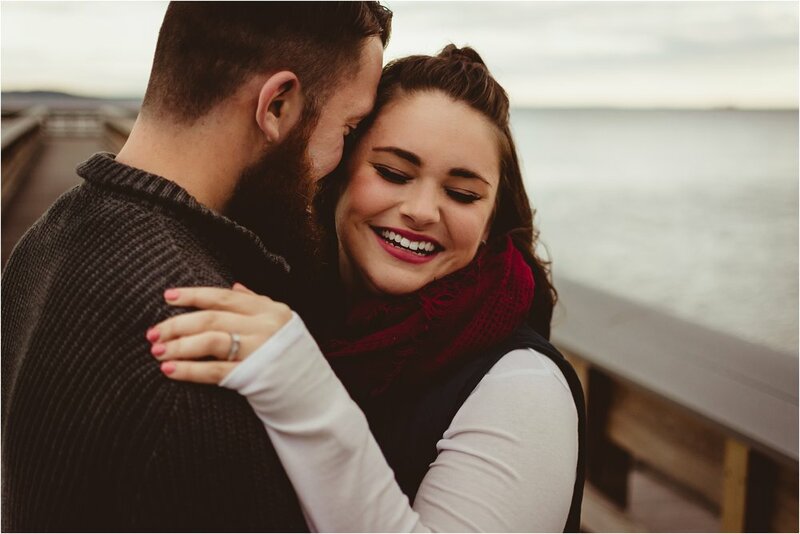 Before the wedding, even before the engagement session, I typically meet with any couple I'm interested in working with to really get to know them. This is the best way for me to witness how they naturally interact, learn their love story, and get some photo ideas before I ever get them in front of my camera. Casey has been following my work for so long and I was so glad to finally meet her in person! When I met Casey + Joe, I couldn't help but just love them. How sweetly they talked about their family, their friends, each other - you can easily tell what's most important to them. Joe took me through (what had to be the cutest half hour story) of just how he proposed to Casey on their trip to Disney World. How anxious he was to keep that ring out of sight. How the TSA agent nodded a "good luck" to him when they were getting through security. How as soon as they were in sight of the Disney Castle, he couldn't stand it any longer and just had to drop to one knee to ask Casey to be with him forever. They both laughed as they told me how Joe was at a loss for words and kept asking her, "You know I love you, right?" At one of the most magical places in the world, Casey + Joe started a new chapter in their love story, leading them to the big day coming this April. 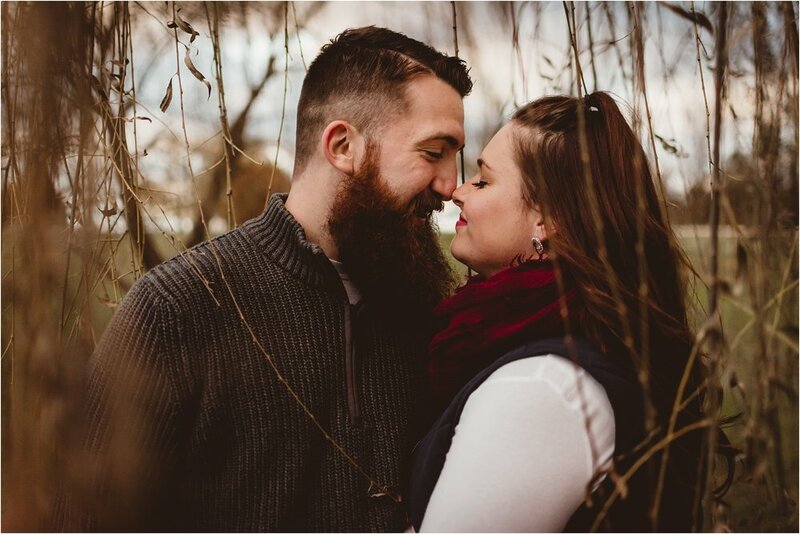 For their fall engagement session, we got together at Swan Harbor Farm. 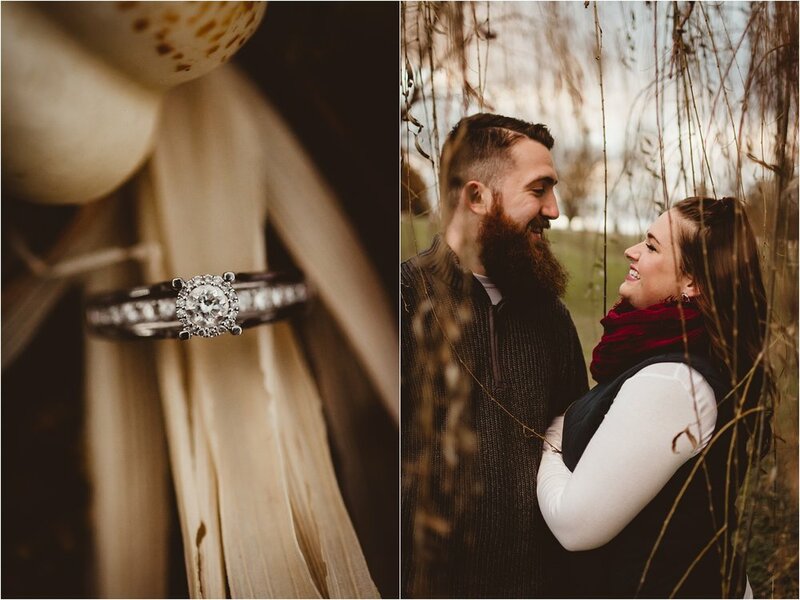 Casey had wanted a location with a willow tree and despite the cold stealing the lush greenery, the photos with the wispy foreground of Swan Harbor's willow trees, turned out perfectly. 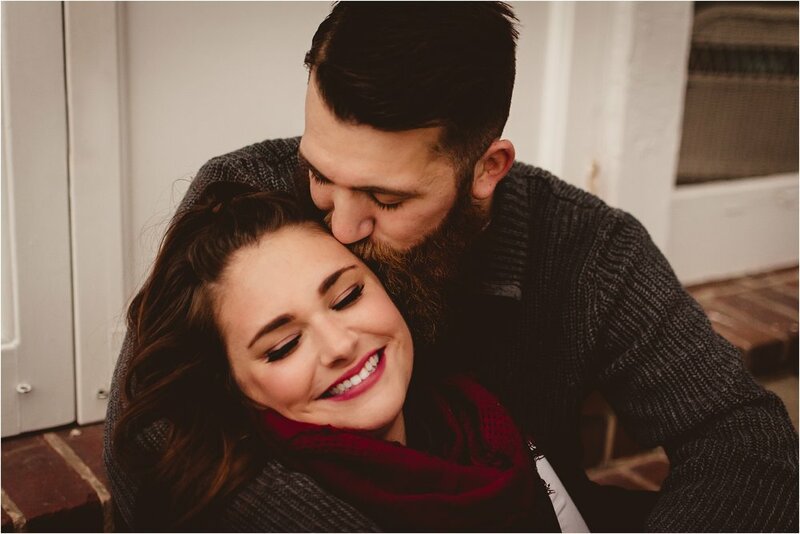 Joe looked handsome with his burly beard and warm smile with beautiful Casey by his side. They brought along their sweet boston terrier pup Reese and because of her adorable face and piggy snort noises, I almost took her home with me! It is such a gift, getting to capture couples completely comfortable in their element. 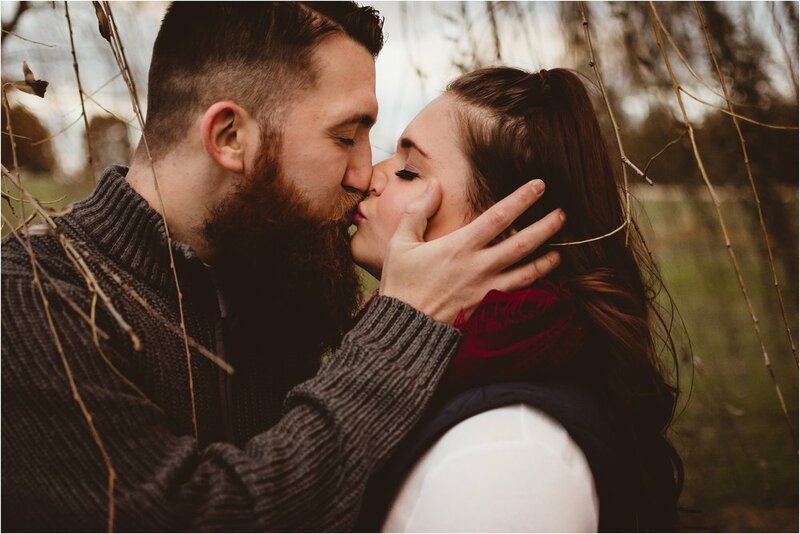 Joe + Casey are some of the most welcoming, hospitable, and genuine people I've ever met and I am crazy excited to kick off the 2018 wedding season with these two. Congrats Joe + Casey!